All domestic workers who work for an Employer for 24 hours or more, per month, must be registered with UIF through the Department of Labour. Employees who are classified as domestic workers include housekeepers, gardeners, nannies, domestic drivers and in South Africa, are governed by Sectoral determination 7 of minimum wages for domestic workers. In April 2003, domestic workers were included in the UIF act and were required to be registered with the Department of Labour. 2% of an employee’s earnings must to be paid to the Department at the end of each month by the Employer. This 2% comprises 1% is paid by the employer and 1% which is deducted from the employee’s monthly salary. Employers must register themselves with the Department of Labour, as Employers. Once they have received their UIF reference number from the Department of Labour, the Employee/s must then be linked to the UIF reference number. The Employer retains the UIF reference number for the period of time during which they employ any domestic worker. There is 1 UIF reference number for Employer, who can link many employees to the number. 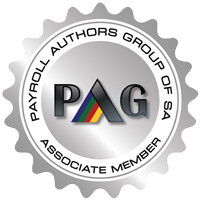 Pay Solutions will register the Employer with the Department of Labour and ensure that they receive their UIF reference number and link the Employee to the UIF reference number using the prescribed documents required by the Department of Labour: The UI19 and the Salary Schedule document. In addition, Pay Solutions will supply the employer with an Employment contract which needs to be signed by both domestic workers and employer. We will issue payslips for each pay period whether it be monthly, fortnightly or weekly. 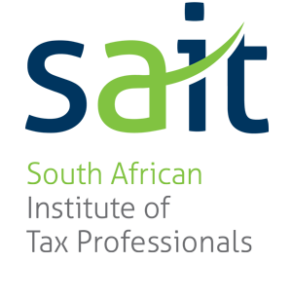 We will deduct the necessary deductions including UIF and pay this over to the necessary authorities. Domestic workers in Area A (bigger metropolitan areas) – working more than 27 hours per week must be paid a minimum of R13.69 per hour. Those that work less than 27 hours per week, must be paid a minimum of R16.03 per hour. Domestic workers in Area B (non-metros)– working more than 27 hours per week must be paid a minimum of R12.47 per hour. Those who work 27 hours or less per week must be paid a minimum R14.72 per hour. The actual areas can be found at www.labour.gov.za. The National Minimum Wage (NMW) came into effect in January 2019, making it illegal for Employers to pay lower than the prescribed hourly rates published within the Act. The new minimum wage of R20 per hour applies across all sectors, however there are a number of exceptions. The exceptions include domestic workers, farm/forestry workers and workers employed in Expanded Public Works Programmes. The exceptions are however expected to be addressed in due course. Dates for implementation have not yet been published. If an Employer currently pays more than the prescribed hourly rate, the rate may not be reduced to fall in-line with the NMW as this is considered a downward variation which is unfair labour practice. Employers may not change the number of working hours per week / month without first negotiating with the Employee. Unilateral changes of working hours is unfair labour practice and may land you in the CCMA. In instances where domestic workers work for less than four hours per day, the employee may receive no less than payment for four (4) hours of work for that day. Overtime is payable when domestic workers work longer than the ordinary hours prescribed per day or per week. Overtime is calculated at 1.5 times the hourly rate of pay. Sunday overtime is calculated at 2.0 times the hourly rate of pay. If domestic workers work on a public holiday, then they are entitled to an additional day’s pay. Any payment can be in cash, by cheque or direct deposit into an account designated by an employee. The payment must be given at the workplace, during working hours and in a sealed envelope, which becomes the property of the employee. A payslip must be given at all times. The employer must keep the payslips for three years. the actual amount paid to domestic workers. Both parties must agree and sign the particulars. The particulars should be reviewed annually. The different types of leave an employee is entitled to. Annual Leave Three weeks per year or 1 day for 17 days worked.For those who do not work 5 days per week or 8 hours a day, leave can be calculated at 1 hour for 17 hours worked. Sick Leave A leave Cycle is 36 months in duration (3 year). The number of days of sick leave equals the number of days worked during a six week period. Maternity Leave Four consecutive months of unpaid leave. Employers may opt to pay a portion of the salary to the Employee, while on leave.Employees are entitled to claim a % of their loss of earnings, from UIF. Family Responsibility Leave Five days per year. 5 Day Workers are entitled to 15 working days per annum. 6 Day Workers are entitled to 18 working days per annum. 1 x by 52 (52 weeks in the year) = 52 days divide this by 17 because they are entitled to 1 day for every 17 days worked and we get 3.06 days per annum leave entitlement. A contract of employment may be terminated only on notice of not less than one week if the domestic worker has been employed for six weeks or less and can be terminated by either the Employee or the Employer. Notice of four weeks is required if the domestic worker has been employed for six months or more. Live-in domestic workers are allowed to stay on the premises for a month (notice period) or may agree to pay for the accommodation. An employer who has to dismiss an employee due to a change in his/her economic, technological or structural set-up, called operational requirement in the determination is responsible for severance pay to the employee. On termination of employment, an employee is entitled to a certificate of service. Employees may claim unemployment UIF from the Department of Labour. As the Employer, you are required to provide your Employee with an updated UI19 form and Salary Schedule form. If you need assistance with registering or terminating your domestic worker with SARS, UIF payments or have any contractual queries regarding your domestic worker, contact Pay Solutions today. Need help with your Domestic Worker Rights? Contact Pay Solutions now!